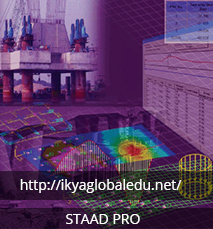 STADD PRO develops and globally markets engineering simulation software and services used by engineers and designers across a range of industries, including aerospace, automotive, manufacturing, electronics, biomedical, energy and defense. The Company focuses on the development of open and flexible solutions that enable users to analyze designs directly on the desktop, providing a common platform for product development, from design concept to final-stage testing and validation. 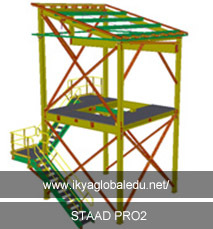 Building the Structure Geometry, Visualization and Structural Integrity checking tools. Assigning Properties, Member Orientation, Materials,Connection information,Loads. Analyzing the model, Viewing and validating the results . Load and definition in detail cases in detail.